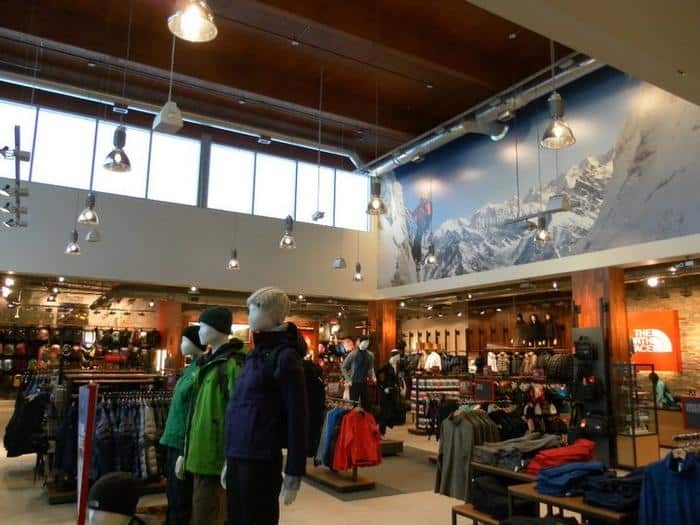 The North Face retail store located at Woodland Mall in Grand Rapids, Michigan, is the fifth project KSW Construction has completed for the high performance outdoor apparel retailer. 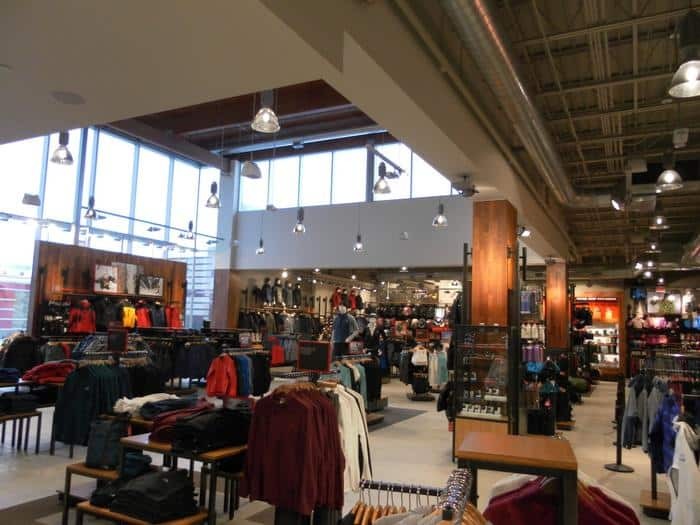 This 6,900 square feet build-out was a new concept store that included decorative rock walls, wood grain wall paneling, high ceilings and multiple windows to create an open air effect. Unique aircraft cable lights float from the 30 feet high ceilings and floor to ceiling storefront windows allow for ample sunlight to shine throughout the outdoor themed space. 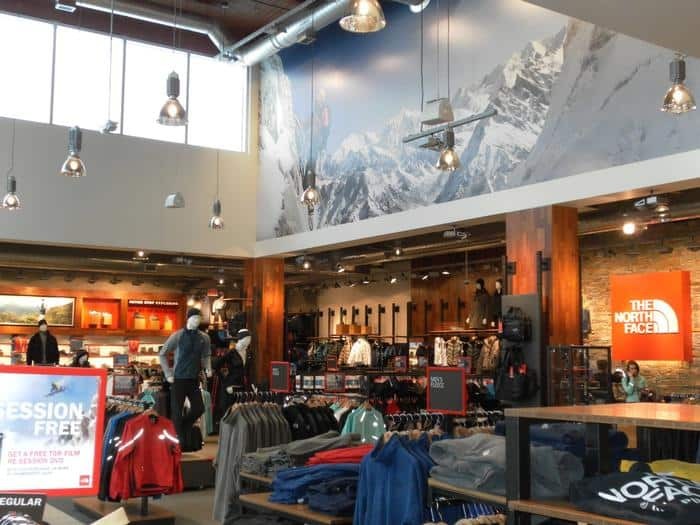 Custom shelving and racks were also created to individually showcase each product line that The North Face has to offer.